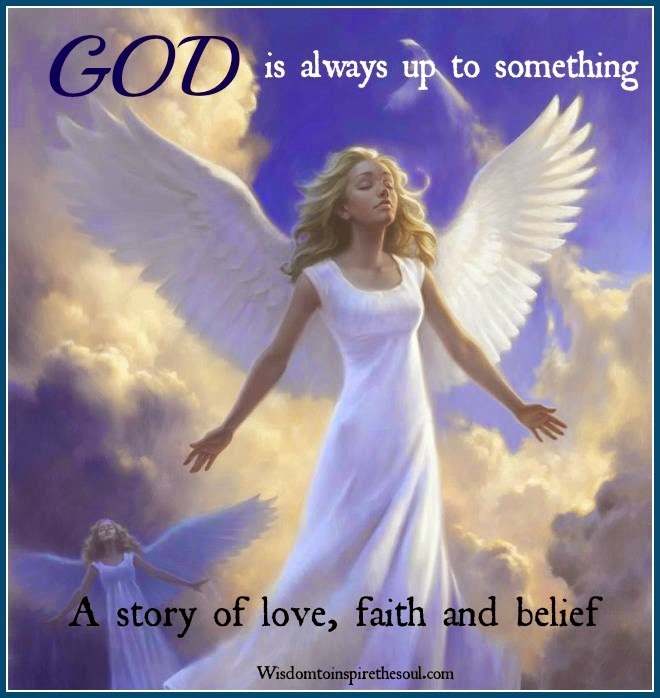 Wisdom To Inspire The Soul: God Is Always Up To Something. Sally asked the nurse to stay with her while she said good bye to son. She ran her fingers lovingly through his thick red curly hair. 'Would you like a lock of his hair?' the nurse asked.. Sally nodded yes. The nurse cut a lock of the boy's hair, put it in a plastic bag and handed it to Sally. The mother said, 'It was Jimmy's idea to donate his body to the University for Study. He said it might help somebody else..... 'I said no at first, but Jimmy said, 'Mom, I won't be using it after I die. Maybe it will help some other little boy spend one more day with his Mom..' She went on, 'My Jimmy had a heart of gold. Always thinking of someone else. Always wanting to help others if he could.. I know you're going to miss me; but don't think that I will ever forget you, or stop loving you, just 'cause I'm not around to say 'I Love You'. I will always love you, Mom, even more with each day.. Someday we will see each other again. Until then, if you want to adopt a little boy so you won't be so lonely, that's okay with me... He can have my room and old stuff to play with. But, if you decide to get a girl instead, she probably wouldn't like the same things us boys do. You'll have to buy her dolls and stuff girls like, you know. Don't be sad thinking about me.. This really is a neat place. Grandma and Grandpa met me as soon as I got here and showed me around some, but it will take a long time to see everything. The angels are so cool. I love to watch them fly. And, you know what? Jesus doesn't look like any of his pictures. Yet, when I saw Him, I knew it was Him. Jesus himself took me to see GOD! And guess what, Mom? I got to sit on God's knee and talk to Him, like I was somebody important. That's when I told Him that I wanted to write you a letter, to tell you good bye and everything. But I already knew that wasn't allowed. Well, you know what Mom? God handed me some paper and His own personal pen to write you this letter I think Gabriel is the name of the angel who is going to drop this letter off to you. God said for me to give you the answer to one of the questions you asked Him 'where was He when I needed him?' 'God said He was in the same place with me, as when His son Jesus was on the cross. He was right there, as He always is with all His children. Oh, by the way, Mom, no one else can see what I've written except you... To everyone else this is just a blank piece of paper. Isn't that cool? I have to give God His pen back now He needs it to write some more names in the Book of Life. Tonight I get to sit at the table with Jesus for supper. I'm sure the food will be great. "When you're down to nothing, God is up to something!"